When looking to enhance your home’s outside entertainment space, you’ll ideally want to create a high end resort feel which not only adds value to your home, but also allows you to spend more time relaxing and less time on garden maintenance and chores. Well, with a resin bound surface you can! 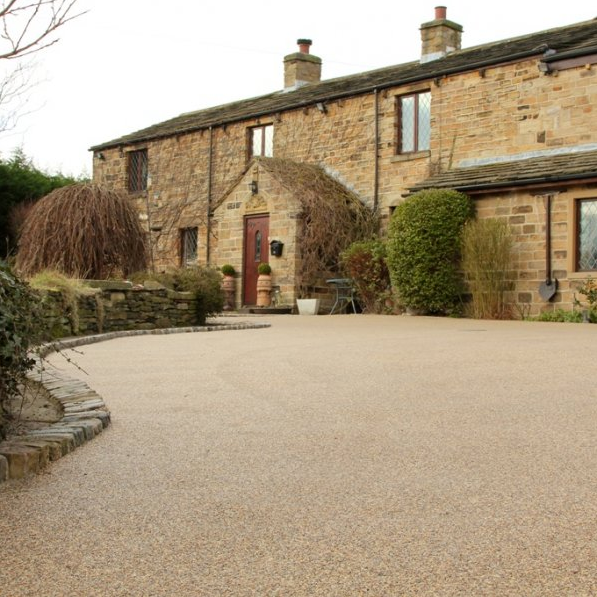 Resistant to unsightly weeds and requiring minimal maintenance, a resin bound surface featuring dried aggregates allows you to create a stunning space by complementing your home’s established architectural features, color scheme and landscaping. 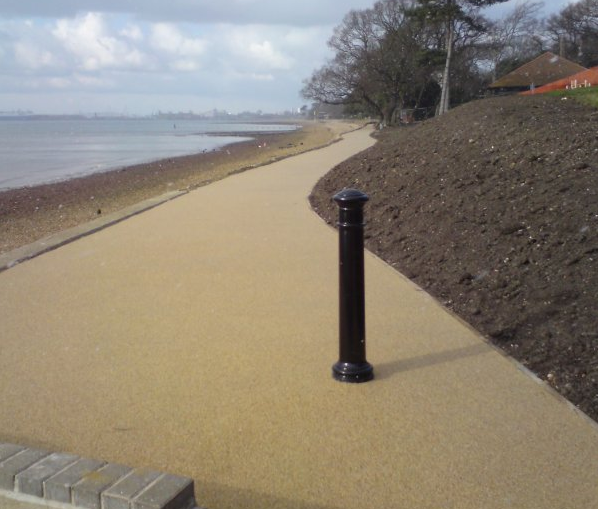 When professionally laid onto a suitable base, resin bound surfaces are water permeable. Making them a great choice for locations which are prone to flooding or standing water, as even heavy rain won’t collect into large puddlesbut will simply run into the ground or the nearest storm drain. Plus the effects created by dried aggregates won’t fade in UV sunlight, making the non slip surface an ideal solution for al fresco dining areas, dedicated relaxation zones and swimming pool surrounds. 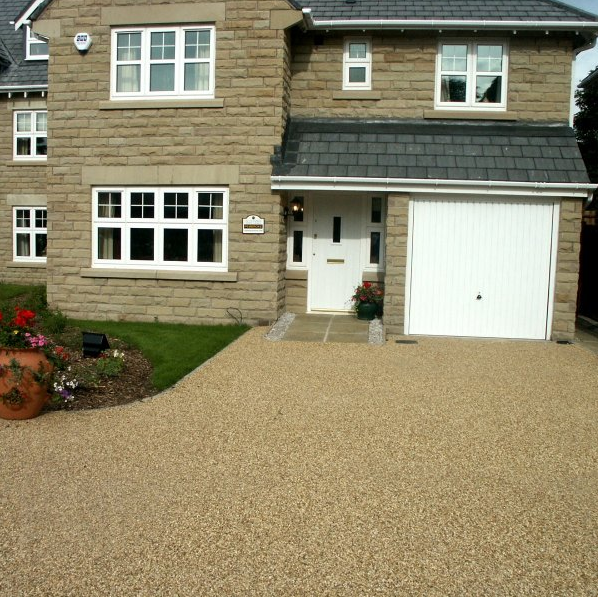 If you are also looking to enhance the front of your home, resin bound surfaces are prefect for creating dedicated vehicle parking, driveways and pedestrian walkways. As the bright and modern effects created by dried aggregates, will provide your visitors with a warm welcome, especially when designed to complement your home’s existing landscaping. To make sure your surface stays in prime condition, your specialist installer will recommend you regularly remove any fallen leaves, keep the area clear of any mud or debris and gently remove weeds by hand. Follow these recommendations with a thorough jet wash and your resin bound surface will retain its modern and fresh appearance. Of course the surface should be installed by a resin specialist using dedicated tools including a forced action mixer. However due to the installation process not requiring commercial sized digging equipment, noise pollution and disruption to you and your neighbours will be kept to a minimum. Plus with no need for excavation of the existing surface, once the appropriate area has been prepared and cleared of any debris, the new resin drive surface will need to be installed in dry weather conditions and laid against a stable edge including a brick, timber, lawn borders and or a sturdy wall. A resin specialist should be able to finish the work in only a few days and once completed, depending on your required application, the resin bound surface will be able to take foot traffic within 3-5 hours and vehicle traffic after approximately 36 hours. DIY repair kits are available to purchase. Containinga pre-measured amount of gravel and resin along with easy to follow installation guidelines, you should have little trouble repairing a decorative gravel surface or resin bound driveways, provided the area is free of debris and the weather conditions are right. Of course if maintained in line with a your supplier’s simple recommendations, your resin bound surface will last for up to 25 years.